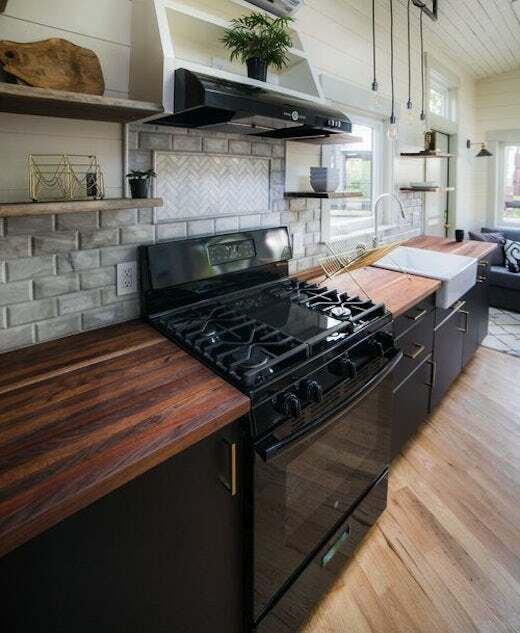 I prefer rustic style tiny homes over the more modern, minimalist ones, and the new creation by tiny house maker Wood & Heart, based in New Hampshire, is a prime example of everything done right. 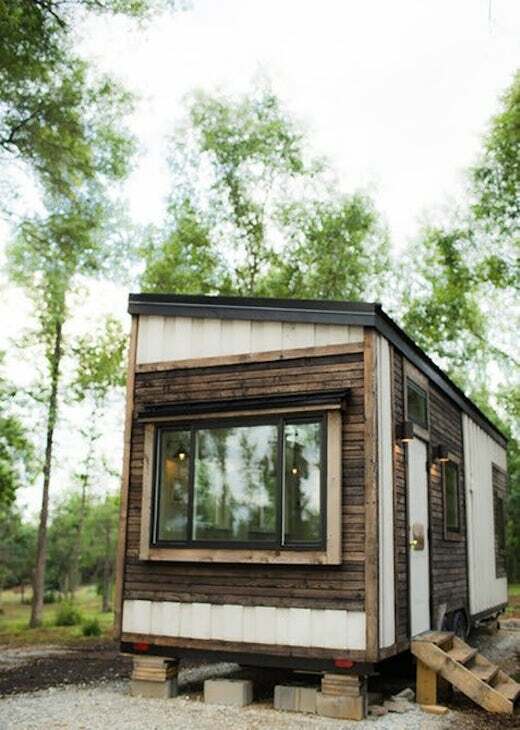 The tiny house is called Legacy and is made of mostly reclaimed materials, which only adds to its rustic charm. 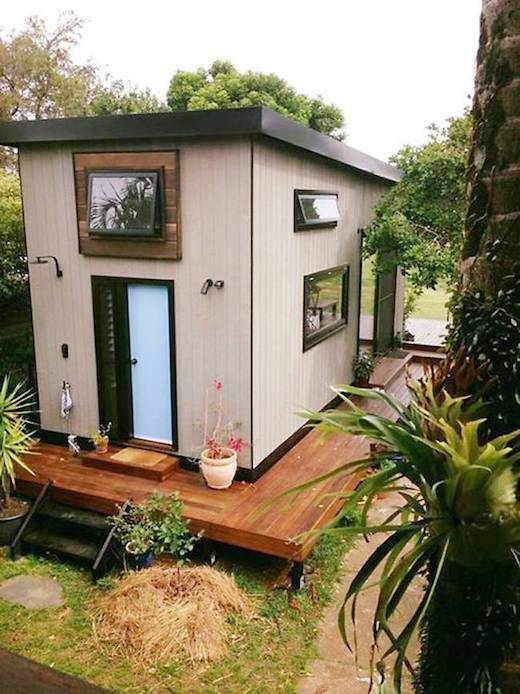 This is the first tiny home built by the company and they’ve entered the market in a big way with it, as far as I’m concerned. 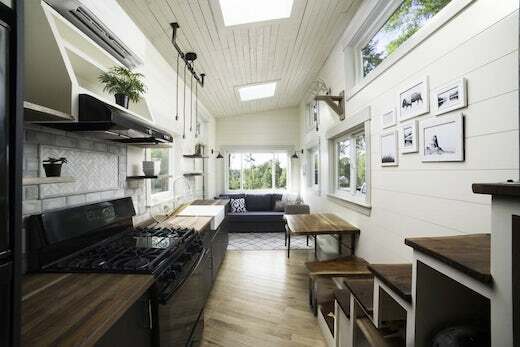 The Legacy tiny home is 26 ft (7.9 m) long and appears more spacious than it actually is thanks to the large windows, which flood the interior with natural light. The exterior cladding is cedar and features Shou Sugi Ban-style charred cedar trimming for contrast. 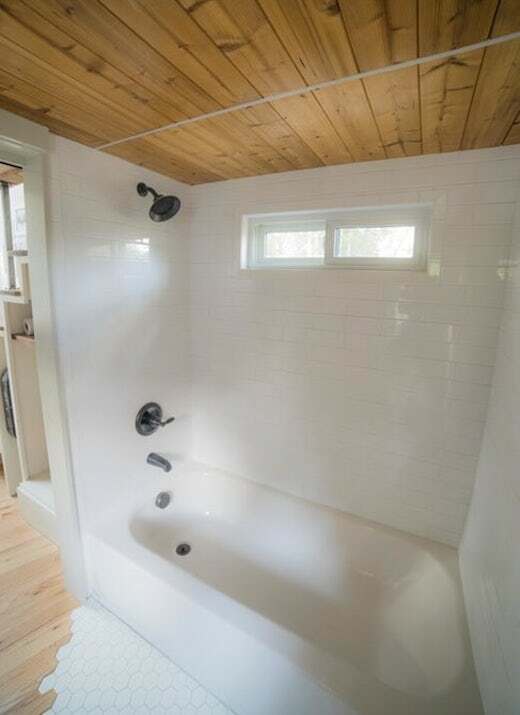 The interior walls are also clad in wood, while they used closed-cell spray foam insulation to insulate the home. There is an exterior utility closet where they stored a tankless water heater, a propane tank and the 50-amp electrical panel with an RV outlet. The counters are made of black walnut and African mahogany, while the flooring is solid hardwood oak. The home also features floating black walnut shelves and dining table. The kitchen is fitted with a four-burner stovetop with a beveled marble splashback and a 24-inch ceramic farmhouse sink. The split system AC unit is also installed here. 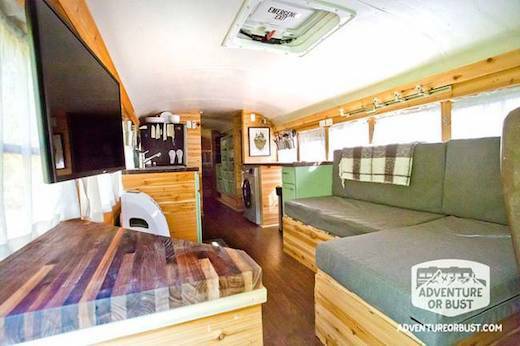 The living area is well-spaced for a tiny home, and features a pull-out sofa as well as plenty of storage space. 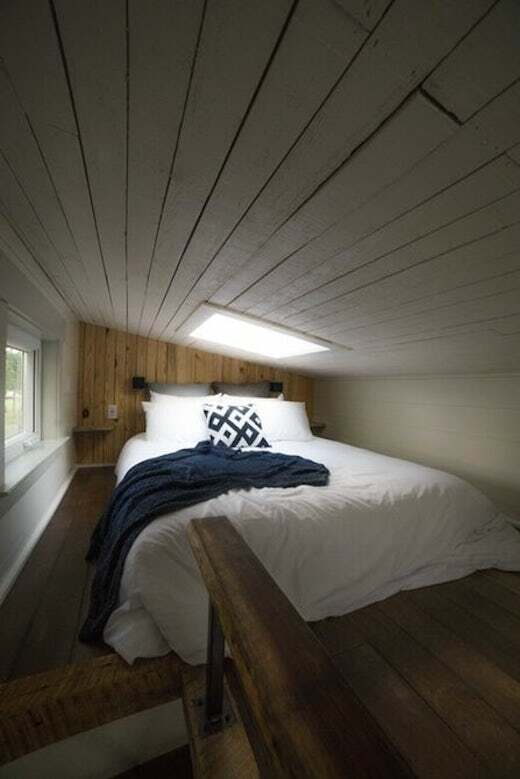 The bedroom is located in a loft. 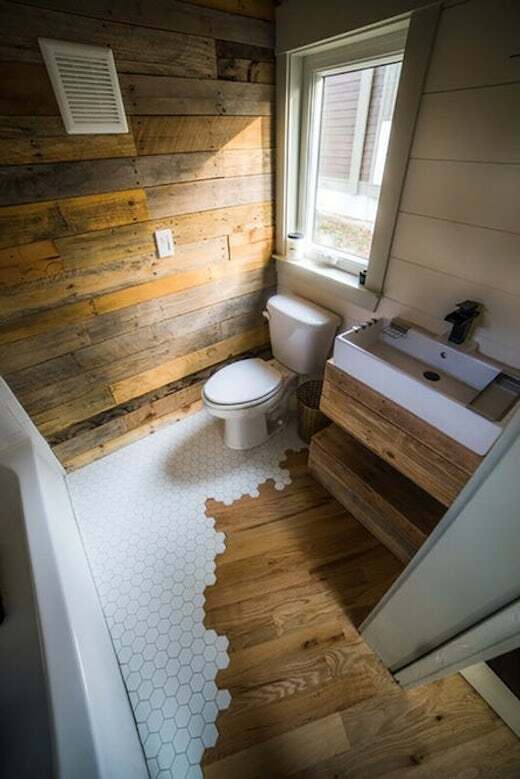 The bathroom features honeycomb-patterned tiling on the floor and an an accent wall made from reclaimed timber. 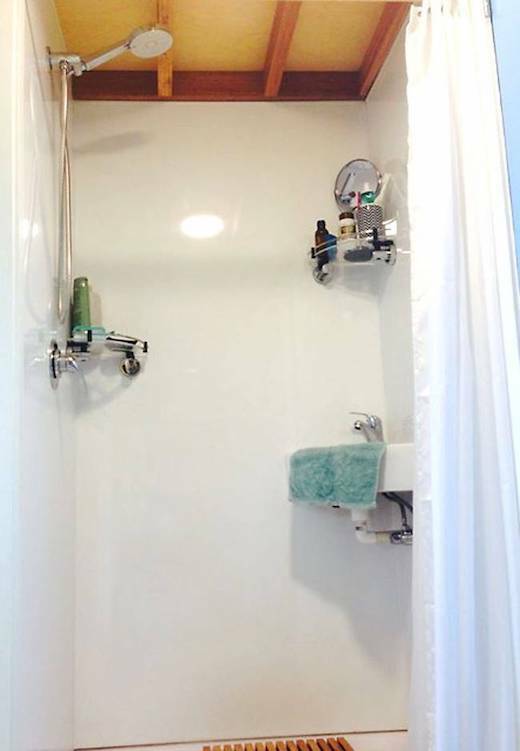 It is also spacious enough to fit a full-size tub and shower. The ceiling is clad in rough-sawn planks of reclaimed timber and they placed three large skylights here, which together with the 13 Andersen windows elsewhere in the home lets in ample amounts of natural daylight. The Legacy is set atop a trailer and can be purchased for $85,000. This price includes all the furniture, appliances and decor. Poor insulation is one of the main problems when renovating old homes into modern residences. It results in excessive heat gain during the summer, and heat loss in the winter. Architect Drtan Lm from Malaysia recently completed a renovation of a home where they took an interesting approach to combating heat gain. The house they worked on was quite dilapidated, but it did contain a lot of intact terracotta tiles, which they decided to recycle into a sunshade for the home. The home got its name from this too and is called Clay Roof House. It is located in Petaling Jaya, Selango, Malaysia, and faces west, meaning that lots of sunlight enters it both in the mornings and afternoons. 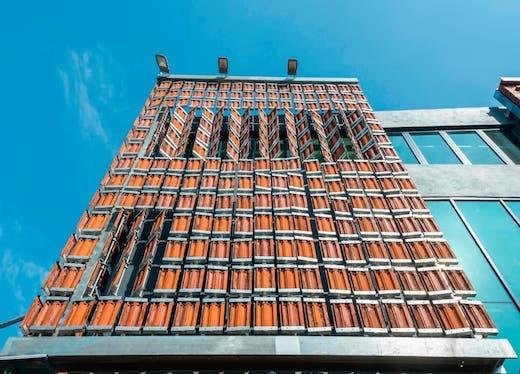 Since the terracotta tiles found in the home were of a very high-quality, the architects used them to create a terracotta brise soleil, as well as a second brick lattice brise soleil, which work to minimize the home’s solar heat gain, as well as reduce much of the glare. 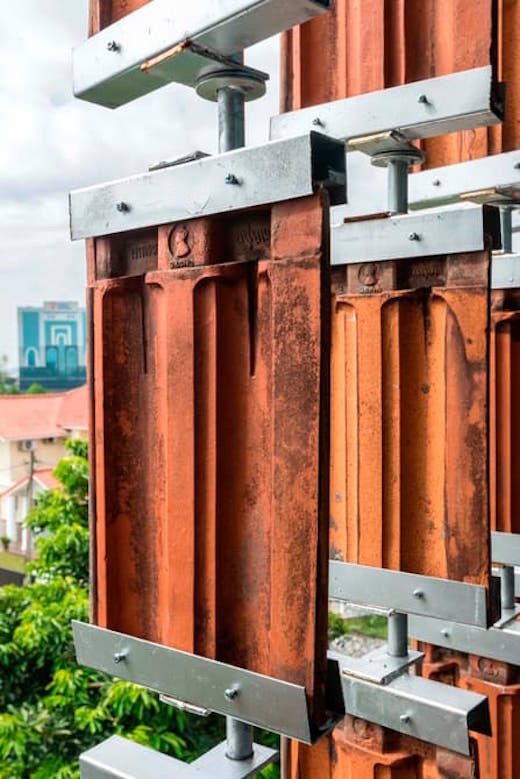 They also made the terracotta tile shading mechanism fully operable, so it can be opened and closed in order to let it air and lights. The added bonus is that the tiles create a beautiful lighting effect inside the home. The terracotta also glows a warm orange in the sun. 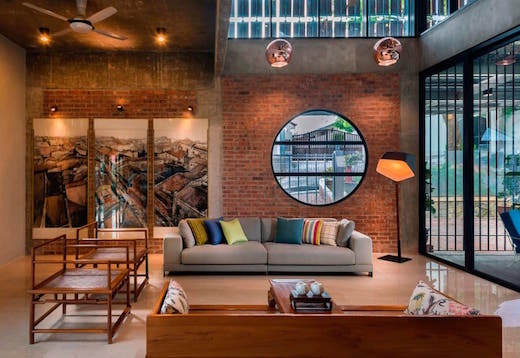 They also left exposed brick, concrete and wood in the interior of the home, which blends perfectly with the lovely terracotta brise soleil. The interior of the home features a large living area, several bedrooms, as well as a piano room, study, two kitchens, and a maid’s quarters. 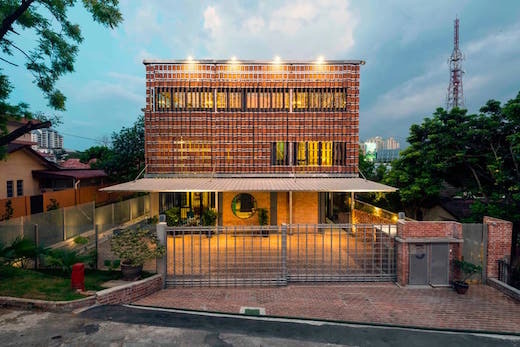 For a home this size, preventing heat gain was of the utmost importance, especially given Malaysia’s climate, and the architects did a great job of offsetting some of the cooling costs with this clay tile shading system. Giving old buildings new life is one of the pillars of sustainable living, so it’s always great to see such renovations take place. 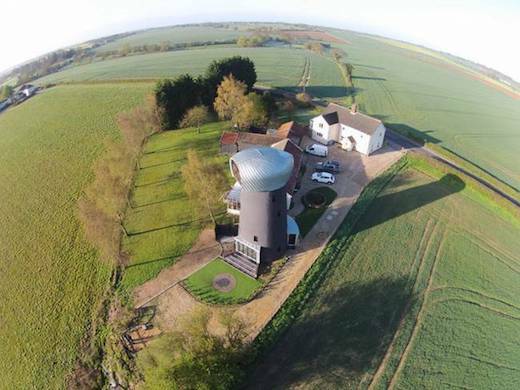 A great example is this recently renovated windmill in Suffolk, United Kingdom. The windmill is about 125 years old and was just a ruin for a long time, before the local firm Beech Architects turned it into a cozy guesthouse. 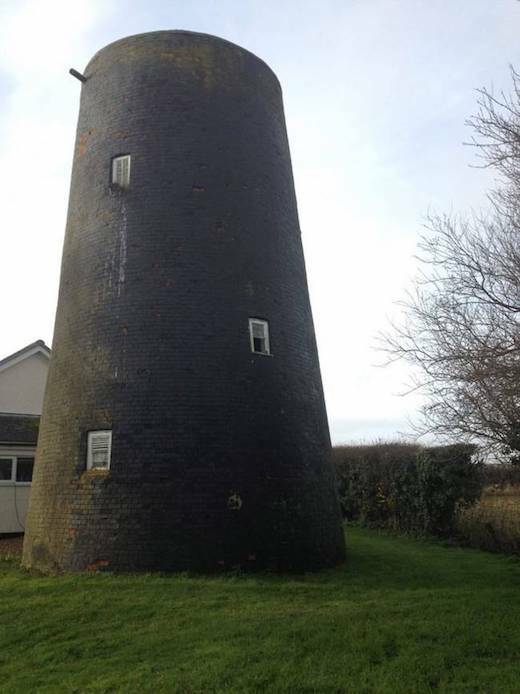 The windmill was unused for several decades, during which time it fell to ruin, yet still retained it’s status as being an important landmark in the area, which is why it was not torn down. 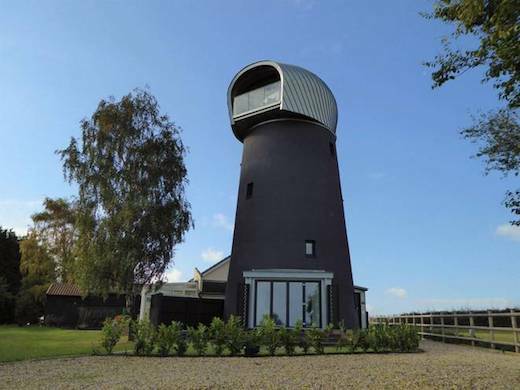 The renovation took some out-of-the-box thinking and resulted in a guesthouse with a spacious living/dining area, two bedrooms, and a bathroom, some of which are inside the modern, zinc-clad structure at the top of the windmill. 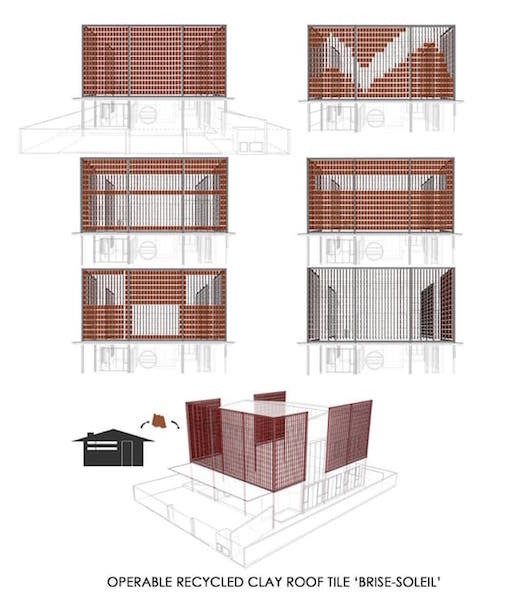 They first had to make the structure habitable, and they started the process by adding insulation panels to the exterior in an effort to keep the interior walls in the original condition, as well as to protect the building from further decay and take advantage of the thermal mass of the structure. The newly added pod on top of the structure features a machine-cut Kerto timber rib system that is intended to strengthen it against the wind. The Kerto system, made by MetsaWood of Sweden, is constructed out of laminated veneer lumber (LVL). More precisely, it is made from 3mm thick rotary-peeled softwood veneers which are glued together in order to create a continuous sheet. The end result is a very strong and dimensionally stable material. 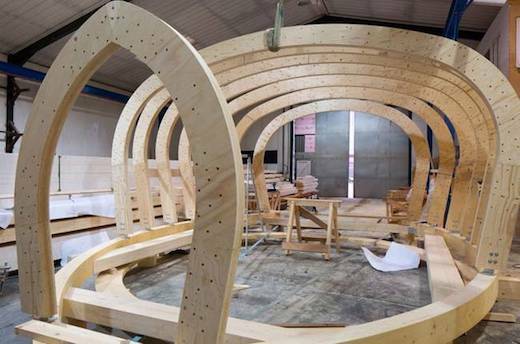 This framework was covered by more than 200 panels of zinc to create the pod. Due to the round walls of the structure all the interior furniture had to be custom made. The owners live next door to the structure and have plans to rent it out. While it is fantastic that an old structure was given new life here, I have to agree with some of the critics who are saying that it now looks too “alien”. The resulting structure looks nothing like the windmill it used to be, and all the black and metal cladding make it look like something out of a futuristic movie. 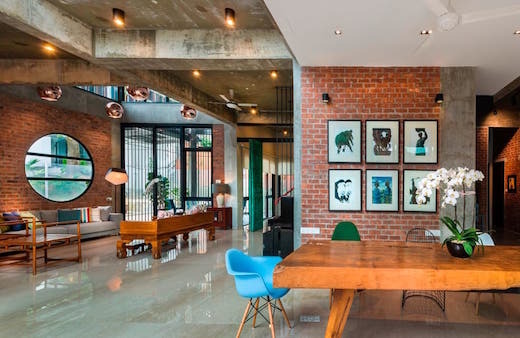 But that’s a matter of personal preference and aesthetics, and the renovation is an awesome example of adaptive reuse done right. Rising rents and huge student loans, coupled with difficulty finding job security are leading more and more young people to reconsider what a home should look like. 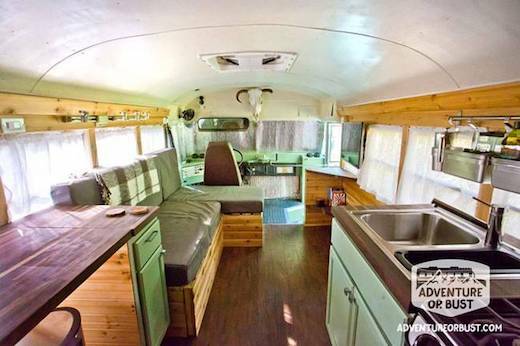 Brittany and Steven of Adventure or Bust are one example of a young couple who opted to convert a disused school bus into a full time home. They converted the bus themselves, and will use it to travel and work on the go. The majority of the interior space is taken up by the lounge/kitchen area. The sitting area features an L-shaped sofa, which can be converted into a full-size bed for guests. There is also a flat screen TV in this area. The kitchen which adjoins this space is fitted with full-size, energy efficient appliances, namely a fridge, stove, and a washer/dryer combo unit. 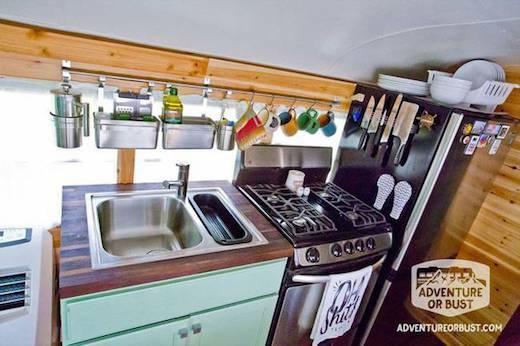 The bus they used for the conversion has a side door, and the kitchen counter they installed across it can be lifted up to make the door accessible. 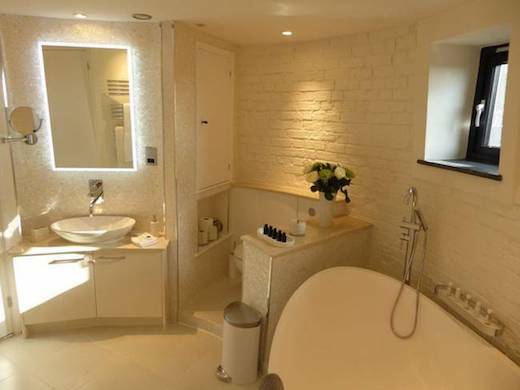 The bathroom is fitted with a Nature’s Head composting toilet, and a small shower. The bus is very water efficient, since no blackwater is produced, and all the greywater is filtered and used to irrigate the vegetable garden. They use the compost on their fruit trees. 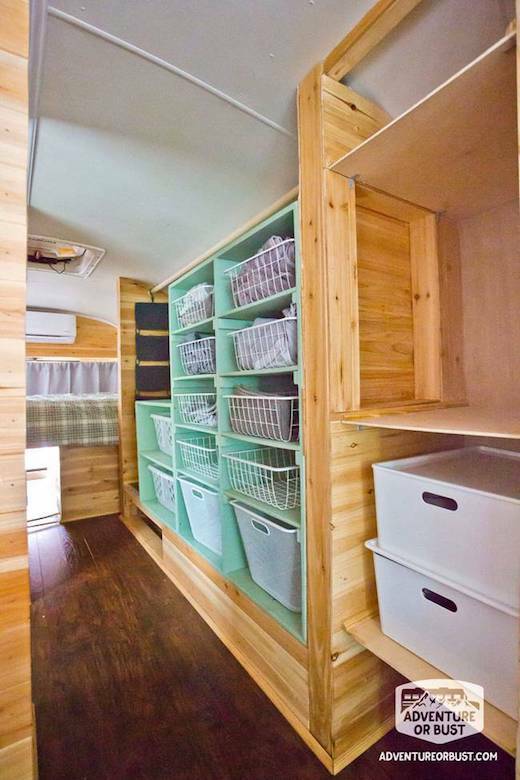 The bus also features plenty of closet and storage space. 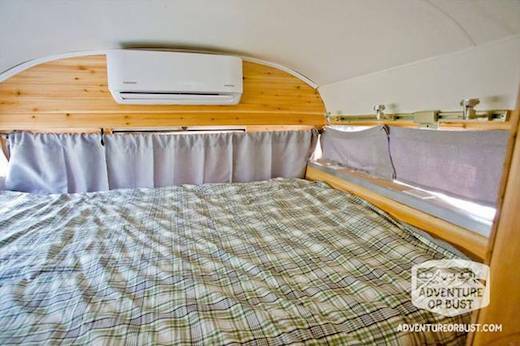 The bedroom is located at the far end of the bus and is just big enough to fit a queen-size bed. The latter can be lifted up to reveal a storage area, the 100-gallon water tank and grant access to the rear door of the bus. 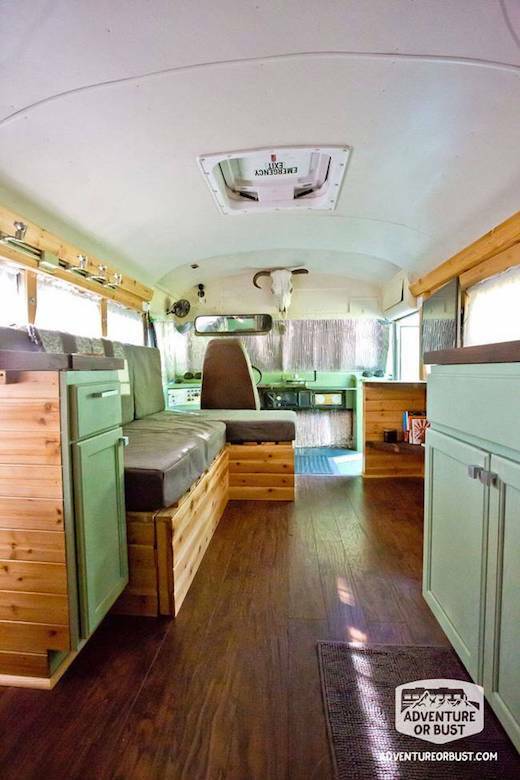 They renovated the bus themselves, and the total cost came to just $17,600, which includes the purchase price of the bus. While the bus is very water efficient, it has to be hooked up to the grid for power. They are currently saving up for a solar power array so that they can use it completely off-the-grid. They also plan on painting the exterior as soon as funds allow it. 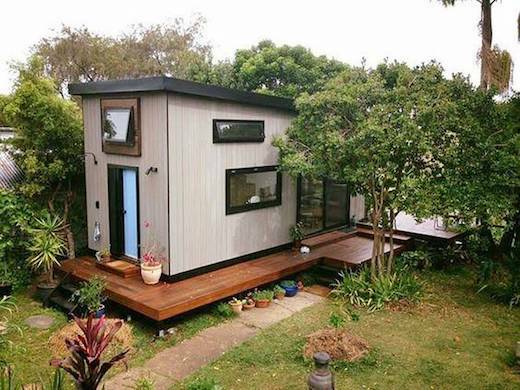 This newly built tiny home for two in Australia proves that downsizing does not mean you must sacrifice comfort. 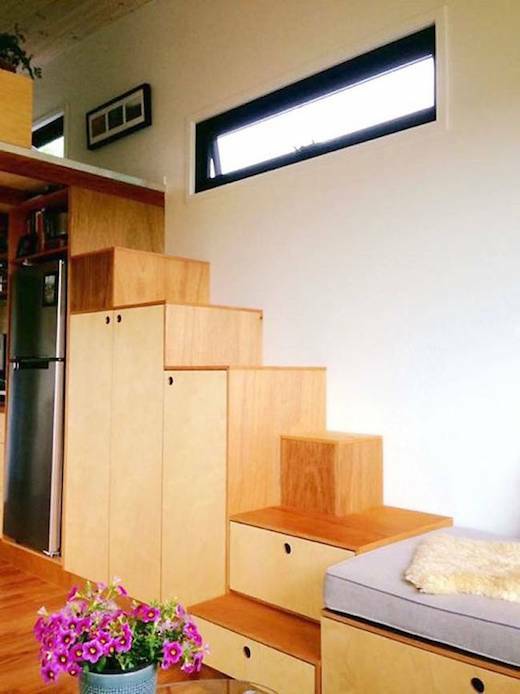 It’s called Zen Tiny House, and it is quite large for a tiny home, and certainly big enough to accommodate the two owners, Nadia and Kester Marshall and their two Australian shepherd dogs. 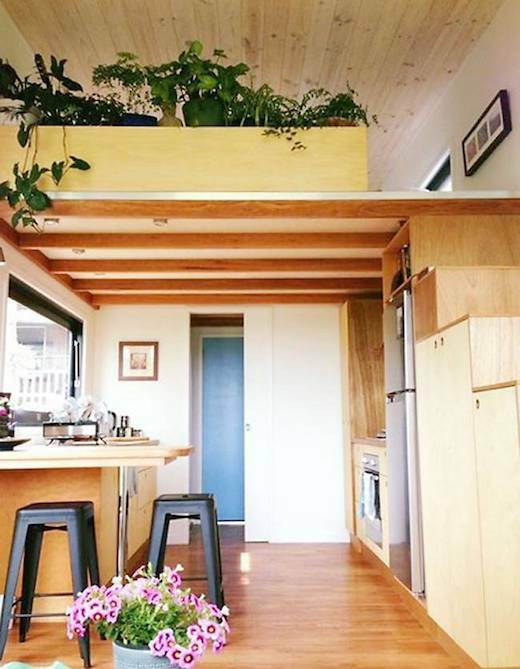 Nadia designed the home herself, and commissioned the local tiny house builder Sam Commerford to build it. The home is 24.6 ft (7.5 m) long and 9.8 ft (3 m) wide. It also features a window box that is 1.6 ft (0.5 m) long and is quite a clever extension of the space. The home features a large patio, 8.2 ft (2.5 m) sliding door in the lounge area, which effectively opens up the space and makes the interior appear larger. The sitting area features an interesting custom-made couch which is connected to the stairs leading up to the bedroom. 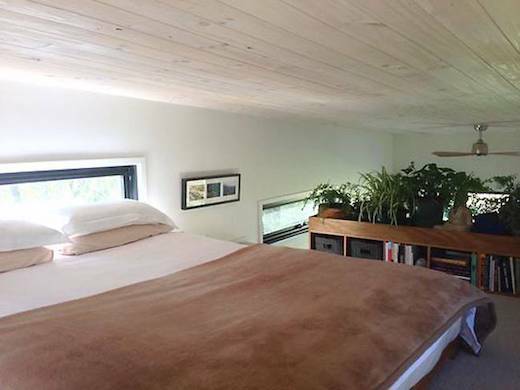 The latter is in a loft, which appears quite spacious, with a good amount of headroom. 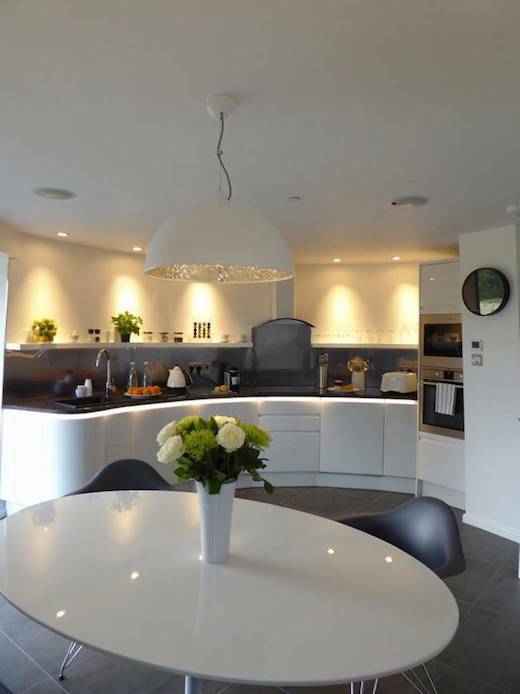 The generous width of the home allowed them to make the kitchen more spacious. 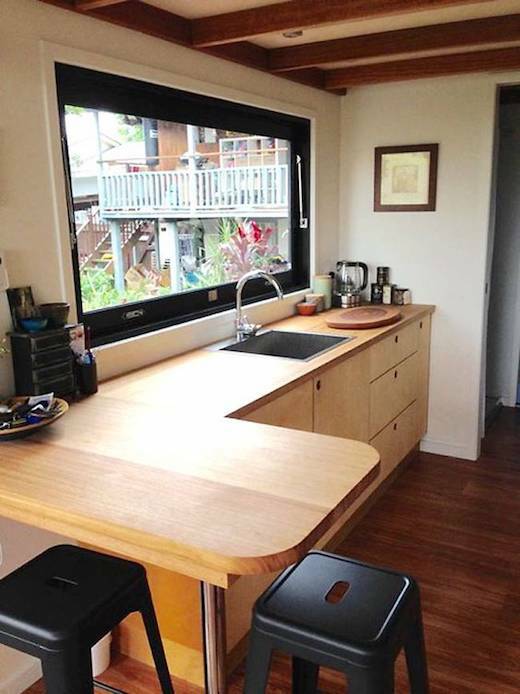 It is fitted with a full-size stove and fridge, and features lots of counter space. 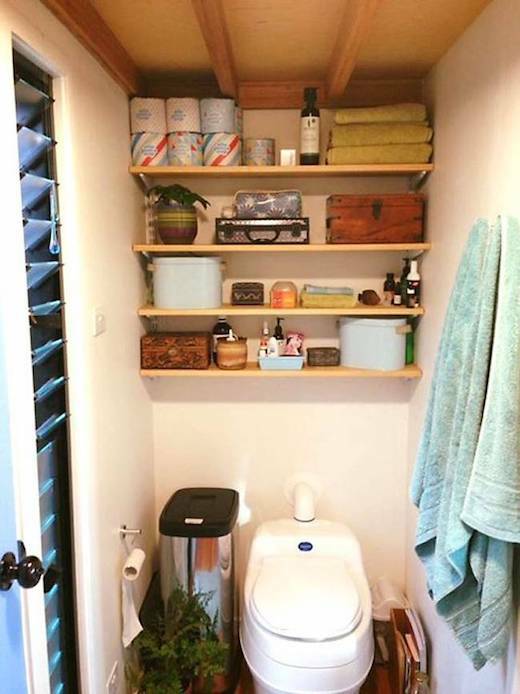 There is also plenty of storage room here. 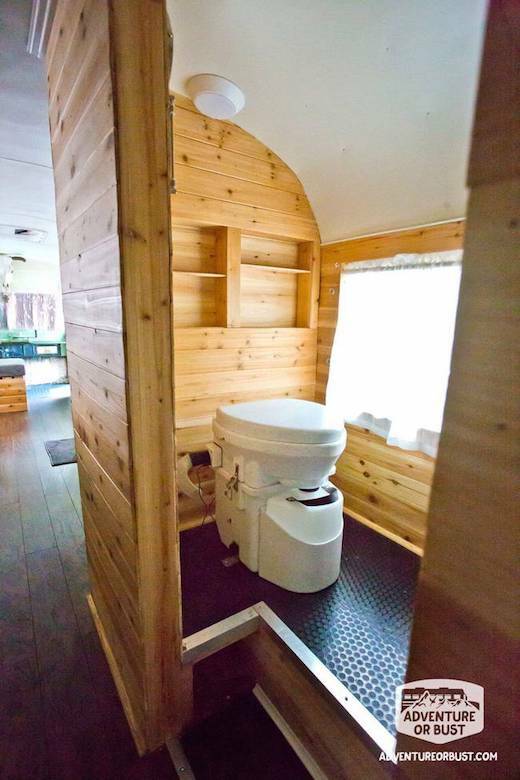 The bathroom is quite spacious as well, and features a shower and a composting toilet. There is also an extra door here for easy access to it after a swim in the sea. 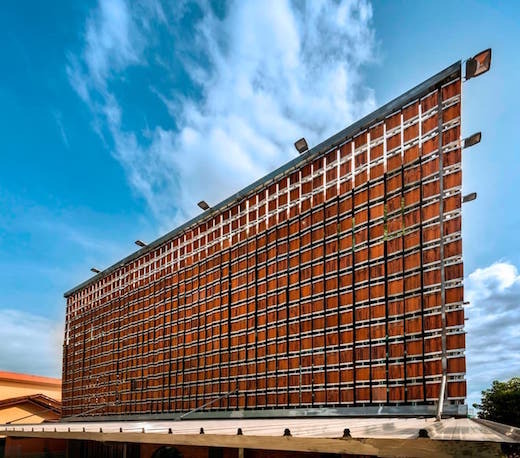 They used Weathertex for external cladding, which is made from 98% recycled Australian hardwood that is mixed with paraffin wax and painted with an ageing stain. The window box and the extruded window were clad in cedar treated with the shou sugi-ban technique. All the cabinetry inside the home is made of plywood that was coated with Rubio monocoat oil. They used whitewash v-join pine for the ceiling, and gyprock (dry wall) for the walls. The flooring is made of vinyl wood-look planks. 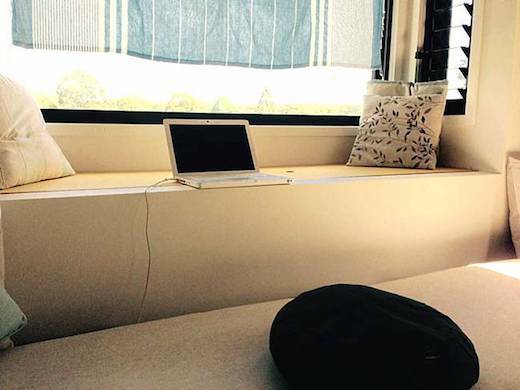 The outdoor deck is modular, and can be completely removed and packed away in a single day. The total cost of building the home came to $55,000, which does not include the deck.